The European Union Illuminated: Its Nature, Importance and Future is a condensed and useful resource for anyone who wishes to understand the history, economic development, political engagement and legal evolution of the EU, argues João de Sousa Assis. It is particularly relevant to the reader seeking to understand the position of the UK in the European project. By looking directly at the UK as a case study, Ali M. El-Agraa explores the questions raised for the British voter by the ongoing renegotiation and the upcoming referendum on the UK’s membership in the European club. 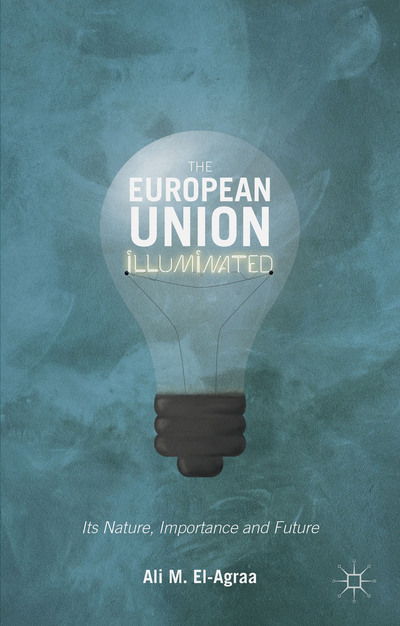 The European Union Illuminated: Its Nature, Importance and Future. Ali M. El-Agraa. Palgrave MacMillan. 2015. The European Union Illuminated: Its Nature, Importance and Future is a book for the curious reader. In his new book, Ali M. El-Agraa, Professor of International Economics, uses his extensive expertise in international economic integration to discuss the past, present and future of the European Union (EU). The author provides the reader with information on the historical, political, legal and economic development of the EU in a condensed, comprehensive fashion. The book is thus intended to be understood and read by the wider public, an intention which is clearly demonstrated by the author’s declaration that the book is ‘addressed to the educated average person’ (171). First published in 2015, the book aims to answer hard questions on the role of the EU and the extent of interference by this European project in its member states’ internal affairs, setting the scene for a reflection on the recent near-Grexit experience. The book also relates to the hot topic of the proposed referendum on the UK membership of the EU by looking at the impact of the EU on the UK’s economy and political influence. Tackling both of these current issues, the book provides useful information on the history of EU integration; the organisation and powers of the EU; the EU’s non-economic policies; how the EU is economically organised; and the importance of the EU from economic, peacekeeping and geostrategic perspectives. While the role of several EU institutions is addressed across the book, only the European Commission, the Council of the European Union and the European Parliament’s internal politics, evolution, aims and powers are discussed in length. These three institutions are defined as the EU’s main players: the ‘Institutional Triangle’ (69). The Institutional Triangle’s raison d’être is analysed in depth in Chapter Three, providing the reader with knowledge of how the EU reaches decisions, and on the decision-making process generally. Due to growing Eurosceptic views of the EU in the UK and in some corners of continental Europe, the decisions reached by EU institutions are often regarded as dictatorial and as overstepping their control over sovereign states. The author opposes this view, arguing against the idea of a Brussels diktat in Chapter Three. The qualification of the Institutional Triangle as non-democratic entities that are alien to the member states is fully dismissed here, under the argument that the EU’s decisions are fully controlled by the member states’ governments and parliaments, thus granting the EU the appropriate legitimacy to proceed (89). However, the most interesting aspect of this book is the fact that it looks closely at the UK case, its historical dilemmas and present economic considerations on whether it should renegotiate the terms of its membership to the EU. The UK’s troubled relationship with the EU is first addressed in Chapter Two (36-63), where the British distrust of the EU is explained from a historical perspective. 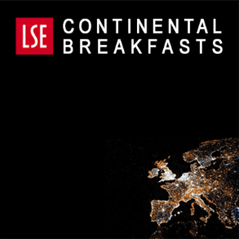 Chapter Six superficially explains what monetary integration means, its potential gains and losses and the historical and political reasons why the UK has refused to join the Eurozone (205). Chapter Seven argues that the UK is not truly committed to the European venture and, in direct opposition to Eurosceptic voices, promises a bleak future for the UK if isolated from the rest of Europe. This warning against abandoning the European project is made through the argument that the EU is vital to its member states and, if apart, the UK or any other member state would struggle against the pull made by economies located in the ‘East, especially with the US being on declining long-term trajectory’ (239). The idea that the UK should stay in the EU is further reinforced by a second warning: continental European leaders ‘who really matter envisage a long-term future for the EU’ (258). When compared with other books on the importance of the EU project for the political, social and economic future of the UK, as well as (the possible decline of) US world dominance, The European Union Illuminated stands its ground as a book addressed to the ‘average person’ (171). The book can be hard to follow at times due to the overuse of acronyms and abbreviations, but it provides a broad scope of information on the EU, describing it from a historical, political, economic and legal perspective, and allowing the reader to reach their own conclusions on the topic. In conclusion, I would recommend The European Union Illuminated to a reader who is eager to understand the aims and peacekeeping objectives of the European project, as well as how the EU impacts on its member states’ economic and political placement in today’s world. This book would be particularly relevant to the British reader during the process of making a decision about how to vote in the proposed referendum on the UK’s membership of the EU, as well as in any future renegotiations of the terms of the UK’s participation. This blog first appeared on the LSE Review of Books. 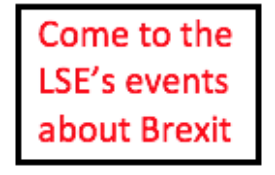 It represents the views of the author and not those of the BrexitVote blog, nor the LSE. João de Sousa Assis is currently in his fourth year of doctoral research at the University of Glasgow. João graduated in Portuguese and EU law and holds a Masters in Company Law, both from the New University of Lisbon. Before joining the Iberian law firm Uría Menéndez, where he worked for two years as a trainee lawyer within the departments of M&A, TMT, Banking and Labour, he worked as a mediator for consumer conflicts. João is particularly interested in comparative law, contract law, consumer law, EU law and TMT.